Time it took for first report to arrive: 2 weeks. Once received, time it took for police to recover it: Immediate. 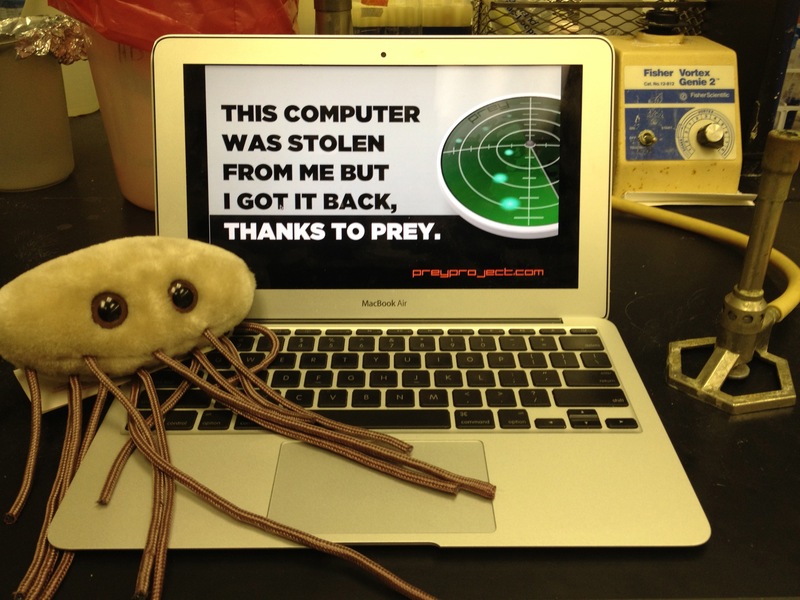 My laptop was stolen from my laboratory in Philadelphia. The thief thought it would be a good idea to turn off my iCloud so I couldn’t track it, but what they didn’t realize is that I had Prey installed! I immediately marked my device as missing and contacted the police. They took a report and told me that the likelihood of my laptop ever being recovered was slim to none. Several weeks went by and no reports came in. Finally, after two weeks, I started to get reports! I was able to obtain boat loads of information on the person who was using my laptop. Aside from webcam photos, I was able to determine that the person using my laptop was a student at another school, and I obtained that person’s name. I even saw the person making an online purchase and obtained their home address! After handing over all of this information to police, they were able to recover my laptop within 24 hours. It turned out, the person using my laptop was not the person that stole it. In fact, they had purchased it from a pawn shop. Now they are being investigated for selling stolen property. Thanks Prey!